News about Facebook’s upcoming changes adds another reason to speed up your site: Increasing the ROI from your social marketing team’s efforts. In this example, 88 percent of the site’s weight are images – that’s no small percentage. Think about that for a second. A 50 percent reduction in image weight would reduce the overall page weight by close to half. If you’re looking for a place to start, for just about every brand out there, it could be a matter of tackling their image and video weights and load times. Next, click on the Image Analysis tab. 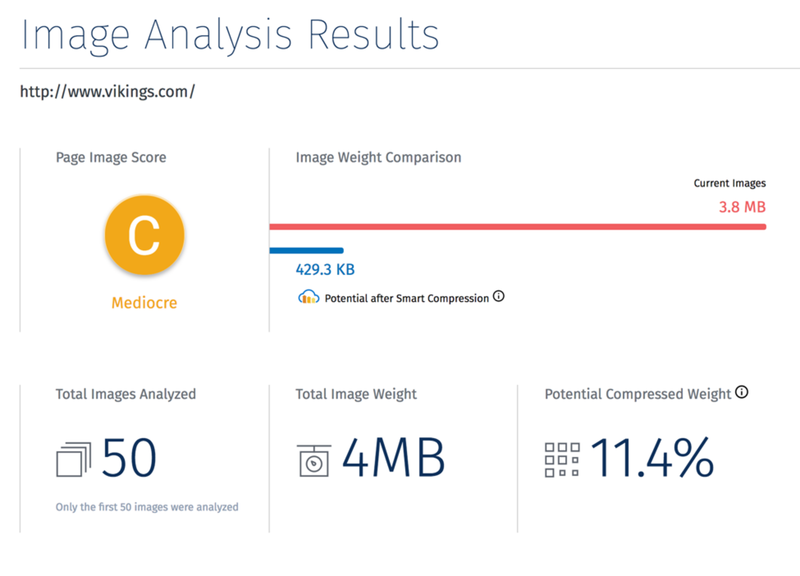 Now instead of theoretical improvements, you’re able to look at your page and analyze if image optimization truly would provide any gains. A reduction in page weight like this could result in faster loading - by multiple seconds, depending on the site - which can translate into millions of dollars of increased revenue for an average, mid-sized retailer. Rather than re-hash all the research, here is a great article from the smart folks at Kiss Metrics on how page-load speed can impact revenue. Now that we’ve identified an area for improvement, it’s time to implement. The good news is that it’s relatively straight-forward, quick and painless for IT teams to get Cloudinary in place and start down the road to reducing page weight and load time. The better news is that you can create a free account to try this out and prove its potential.